UberEats – Sign Up And Get $10 Discount On Your Food Order! UberEats is an instant food delivery service from Uber. If you have never used it yet, sign up and apply UberEats coupon code “eats-UberKFC” to get $10 OFF on your order. A food delivery service from parent company Uber, UberEats app can be downloaded from the app store or the play store. Once logged in, you can look for local restaurants in your city. All the restaurants that have signed up to deliver with UberEats will be available. After you select where you want to order food from, it is time to select FOOD! Just as you’d look at an online menu, users can select individual food items and add them to cart. 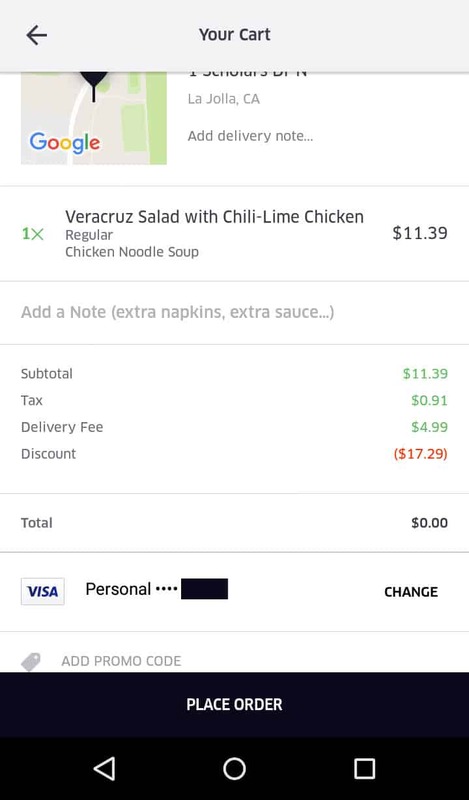 UberEats allows you to add special instructions/comment to each item in your cart. If you’d need additional spoons, forks, napkins, etc … comment section is where to request. Once that’s done, you can go ahead and check out. There is no need to tip because all fees including tip and delivery is included in the final amount. After you check out and pay through the app, you will receive notification that your order has been received by the restaurant. Once the restaurant gets the order, they being preparing the food. This can be seen in realtime by the user through the UberEats app as well as the UberEats website. The coolest part in my opinion is the delivery where you can track your food on the map moving towards your delivery location, just as you’d see Uber cars whenever you request one. UberEats is similar to other food delivery apps like GrubHub, Caviar and PostMates. The only difference is that UberEats is a service by Uber. When you order using other apps, the person who delivers car able to choose their own mode of transport, which could be a bike. With UberEats, you can be assured that it is the same Uber cars that are doing the delivery. In most places, this will be faster and dependable. Especially when you want to get food from restaurant that’s far far away. Also the delivery fee is $5 flat in UberEats. In other apps, it varies. On some services like GrubHub, you have to pay tip to the person who delivers, when you receive your food. With UberEats, you don’t need to pay tip becaue everything is affordabily included in the final price and is paid online when you order. This is a good user experience because the customer doesn’t need to worry about carrying cash. As soon as the food is delivered, all they should care about is its taste. After you order food through the app, tracking the delivery is really convenient. As you can see in this image, the icon with spoon and fork is the food. 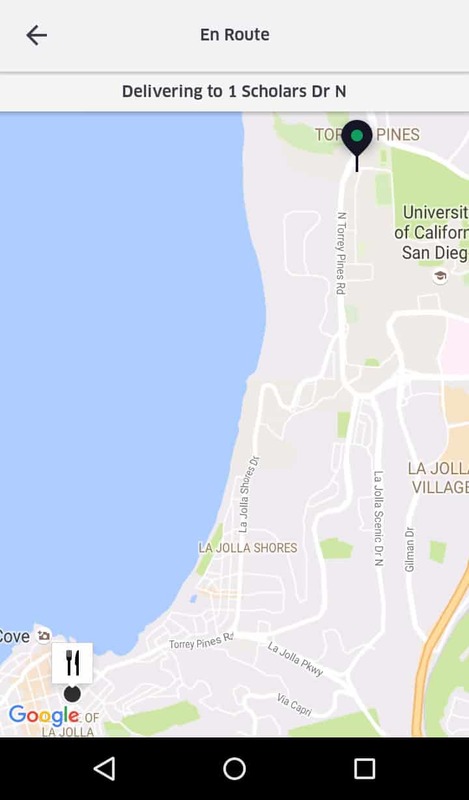 The green and black pin is user’s delivery location. Gradually and in real time, the food icon moves towards the final destination. It feels good to see your food slide on the map and 20 minutes later – ring your door bell. Atlanta, NYC, Washington DC, Denver, Austin, Houston, San Diego, Dallas, Los Angeles, Miami, Chicago, Seattle, Phoenix, San Francisco, The Bay area, Philadelphia, Pittsburgh, etc. I hope you liked my short intro to UberEats. 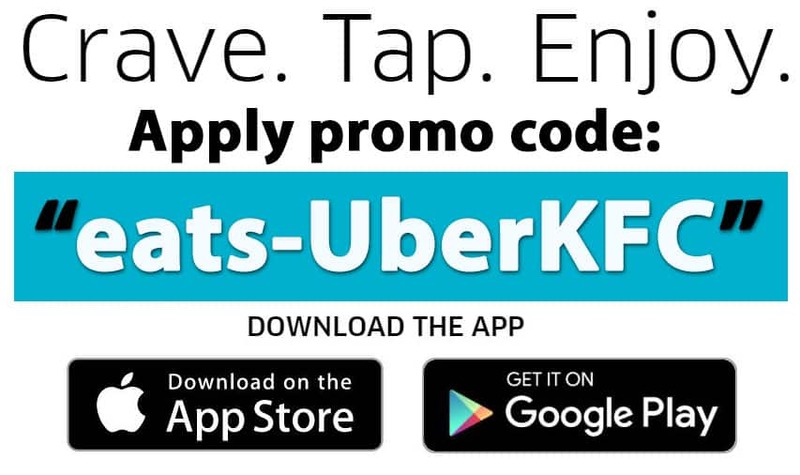 If you sign up using my promo code “eats-UberKFC”, you’ll get $10 OFF on your first order. It also covers the delivery cost. Also, you can recommend UberEats to your friends and when they use your promo code, they will get $10 OFF on their food order as well! As a bonus, UberEats will also give you, the referrer, a $10 credit to use on next food order. Now your turn. 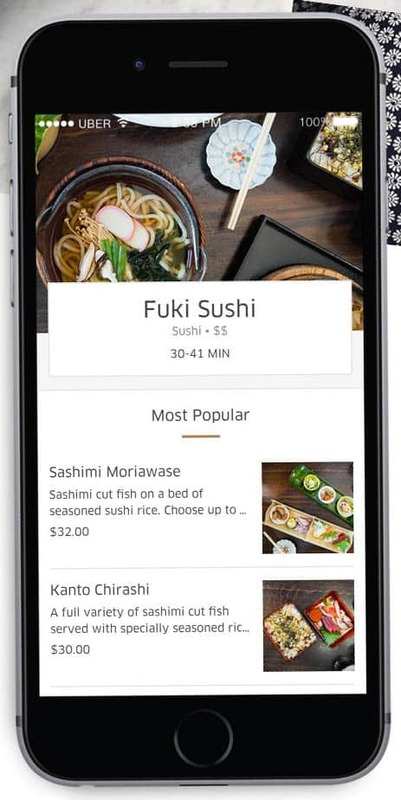 What do you like or dislike about Uber’s new app Uber Eats? Do you have any money saving tips or general suggestions that you’d like to share? Put them down in the comments section below!